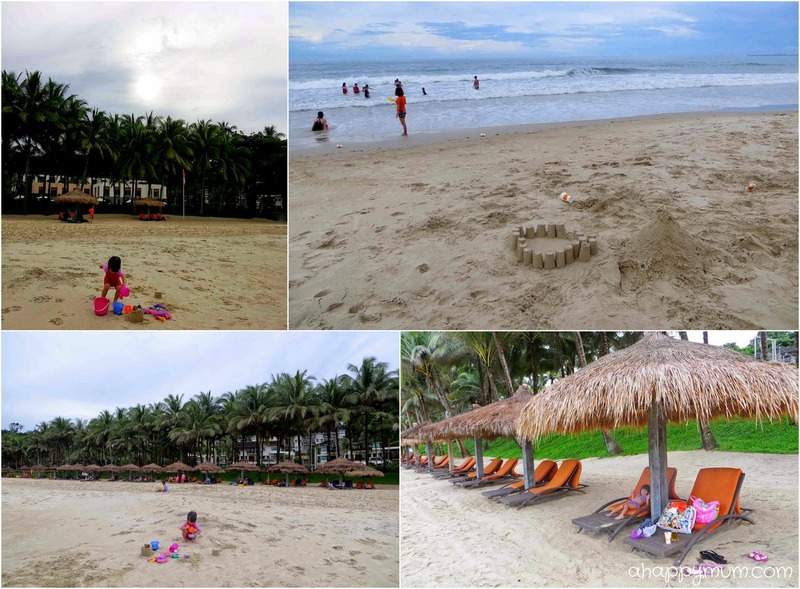 So, you've read about the cosy accommodation, glorious buffet cuisine, affable multinational GOs, all-day bar and snacking, nightly entertainment as well as a host of family-friendly activities in my first post of our Club Med Bintan Island experience here. If you have not, you know what to do. Today, I'll be sharing more about the beach, dance parties as well as introduce you to the famed Mini Club and the activities it has to offer. Plus, I have an exclusive giveaway for you but before we get there, do take the time to read through every word, ok? That is exactly what we did at Club Med Bintan. 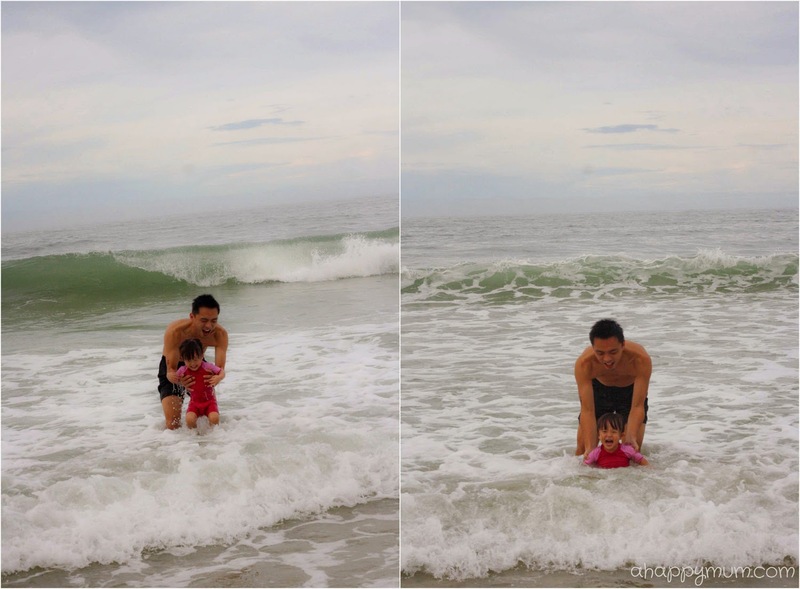 For a good part of the only afternoon which was not raining, we walked in the soft sand, ran in the shallow waters, build sandcastles, admired the horizon and enjoyed rolling with the waves. It was such a simple but carefree feeling and I think in this case, a picture is worth a thousands words. You know, I'm actually very glad that my girls are beach lovers who never hesitate to roll around in the sand or splash about in sea water. They are not afraid, and in fact more than happy to, get sticky, grimy and muddy in the name of fun. I hope they stay this way forever and continue to see the beauty that nature has to give and relish these little moments of life. One thing you should note when you visit is that the current can get quite strong so always keep an eye out and never let your child be alone or venture too far out into the sea. To create fun and joy for children and give peace of mind to the parents, Club Med welcomes children of all ages and provides supervision for each age group. In Club Med Bintan Island, there are three age groups namely Petit Club Med (from age 2 to 3 years old), Mini Club Med (from age 4 to 10 years old) and Juniors Club Med (from 11 to under 18 years old). While Mini Club and Junior Club are part of the all-inclusive package when you book your holiday, if you wish to enroll your child in the Petit Club Med, this will come at an extra cost. Same goes for babysitting services which are only available upon request. Personally, if you have a baby or toddler, I think it is more advisable to keep them by your side and wait till they grow old enough to join the Mini Club. This is so that by that time, they will be better able to enjoy and benefit from the range of activities offered while giving the parents some well-deserved couple time. 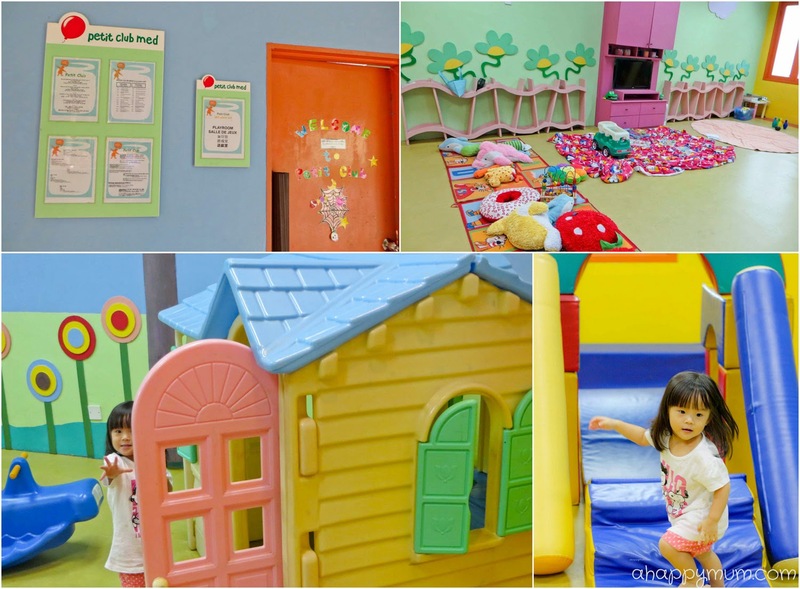 In any case, as long as one parent is around to supervise, you can always bring your child to play in the Petit Club Room which is located just beside the Mini Club Room on Level 4 of the main building. Right outside, there is also a trampoline, a children's playground and a kids pool. Moving onto the Mini Club, which was the highlight of the trip for Angel, I was really happy to see that she managed to open up, made new friends and enjoyed the activities immensely. The Mini Club activities begins at 8:30am in the morning and continues all the way to 5:00pm. It doesn't mean that you have to drop your child at exactly 8:30am, instead it is better if you ensure he/she has a good breakfast and then drop him/her at any time in between. Remember to pack the essentials into an easy to carry bag for your child, including cap, swimming costume, swimsuit, change of clothes and if possible, sports shoes for the sports activities. Similarly, you are free to pick your child up at any desired timing as long as you remember to sign in and out. For those who would like to have dinner together with the GOs and hang out with their new friends, they are welcome to gather again from 6:30pm to 8:45pm. I was told this was not very popular and I wasn't surprised because after a long day of missing my child, I would love to have a nice family dinner with everyone present at the table too. The event schedule for the Mini Club can be easily found outside the Club Room, on the first floor and you can always ask for a copy too so that you know exactly where your child will be at what timing. They do move around from place to place for instance to the beach, pool and theatre, so don't be alarmed if you see that the Club Room is empty. One thing I love about their event lineup is that they have a different theme for each day of the week. 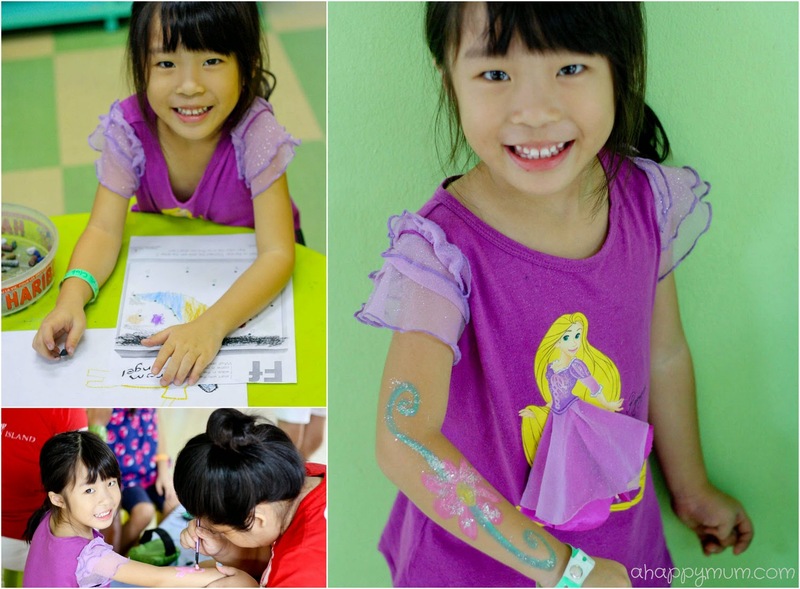 For example, during our stay, the themes for the Mini Club were namely Water Splash, I'm an Artist and Champions Day and there will be at least 1-2 activities centered on the theme. 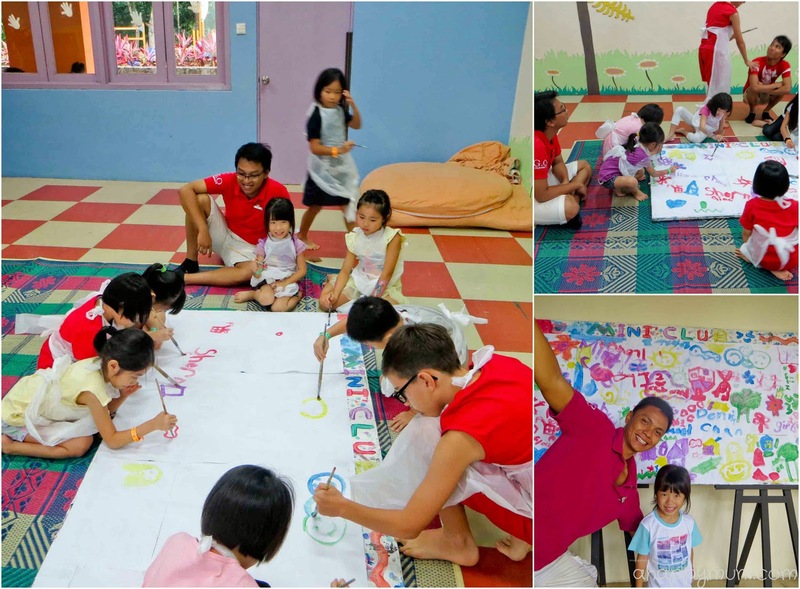 There are also different types of activities catered to develop the child in different areas, including sports, art and cooking. Look, Angel tried tennis for the first time and I was surprised she chose this out of the three sports available. Even though each child might only end up with merely a few attempts in that half an hour to 45-minute period, it was still a good first exposure to the sport and at the very least, she has held a proper racket and did her utmost to hit the ball. Next, she also tried mini golf which wasn't new to her but I could see that she had totally forgotten how to hold, much less swing, the club. So she fumbled about for quite some time before I requested for the GO to guide her. Although I find that the GOs are generally very approachable and caring, if I have to be exceedingly critical, I do think they can be a little more sensitive to the needs of the children, especially those who might be experiencing the activity for the first time. For instance, some children were left out in some games while a couple were at a total loss. I know it is not easy to handle a group of kids but perhaps they could try to demonstrate the techniques, give clearer instructions and take more initiative to teach the kids. Right, I do think I can add being a GO to one of my dream occupations (along with party planner and craft teacher) but honestly, I can foresee myself doing quite a good job at that! Still, I have to applaud each and every GO for doing a great job in entertaining the children and keeping them happy and safe. Without them, this dream holiday would not have become a reality for these kids. Beside doing colouring and face/hand painting, Angel was thrilled to learn that she got to paint with her peers on I'm an Artist day. Check out the huge canvas and final masterpiece put together by the kids in her class, I thought they all did a fabulous job and everyone was proud to have played a part too! Angel was also elated to take part in the Junior Masterchef activity one afternoon where the kids got to mix drinks in a cocktail shaker and decorate their very own cookies with cherries, raisins and sprinkles. In fact, she was so thrilled about it that she came up to show me her cookie and exclaimed that "I just drank a fizzy drink!" Which was in addition to all the mocktails, juices and overdose of ice cream she had during the trip. Well, only when we are on holiday, I guess it is okay to close one eye, so long as everyone is happy and savouring the moment, don't you agree? Talking about food, the kids would gather for lunch at the Waterfall Restaurant and while older kids got to choose their own food to put into their Smart Kids Tray, the GOs would help out with the younger ones to ensure that they received a healthy mix of food without running, or falling, over the place. Although we were always nearby having our lunch, I liked that Angel got to interact more with her peers and GOs over a delightful lunch. The fact that she did it with a big smile said everything about how her day was going so far too. Besides lunch, the children will also get snack breaks in the afternoon so if your child is banned from eating or drinking anything sweet or has any food allergy, do make sure that you convey the message when you bring him/her to the Mini Club. 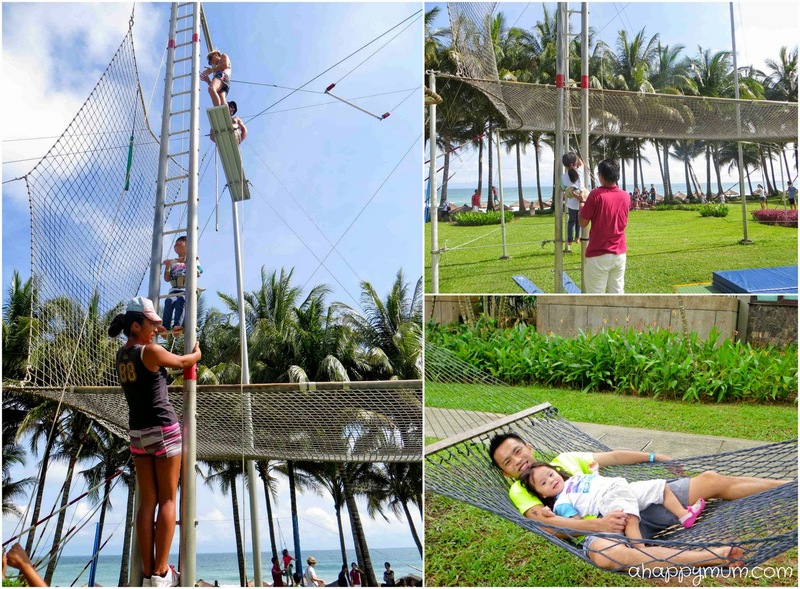 Coming to the highlight of all the Mini Club activities during our trip, it is none other than the Flying Trapeze! If you think that it was an achievement for me to perform three tricks on the stationary trapeze (okay, it really was on a personal level), check out what my brave yet to be 5-year-old did while her little sister was lazing on the hammock! 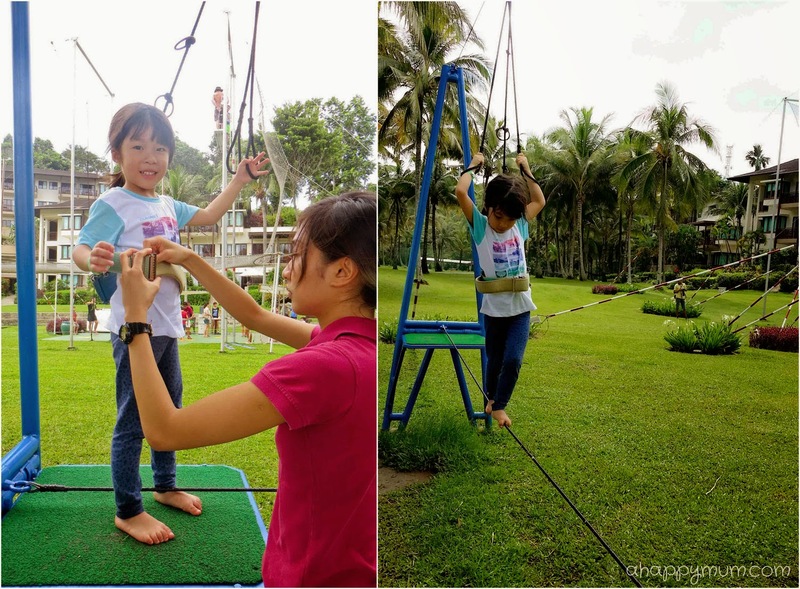 On the last day of our trip, which happened to be the only sunny one, the kids started off their morning at the Mini Club with the circus activities which included the flying trapeze and tightrope. Seriously, we had never done or seen this before, so the great height and fast speed of the trapeze was enough to scare off a handful of the kids, including some of the older ones who were unwillingly to take that leap of faith. For Angel, yes, she bawled at the start and was frightened by the sheer height of the structure and the narrow ladder on which she had to climb up alone. I was really glad that I managed to calm her nerves and coaxed her into making the most of this golden opportunity instead of giving up without a try. Was it easy? No. Was it frightening? To a child, probably. Was it fun? Very, according to her after. Was it worth a go? Definitely. Actually, I was all ready for her to pull out halfway when climbing up but no, she surprised me by making it to the top, holding on to the trapeze throughout and emerging with a smile at the end. I couldn't help but cheer my heart out for her while watching with pride and making sure that I captured this priceless moment. You rock, Angel! I'm so happy you made it! A big thanks to Saya and her team for helping my girl to make it a successful and memorable first attempt on the trapeze! 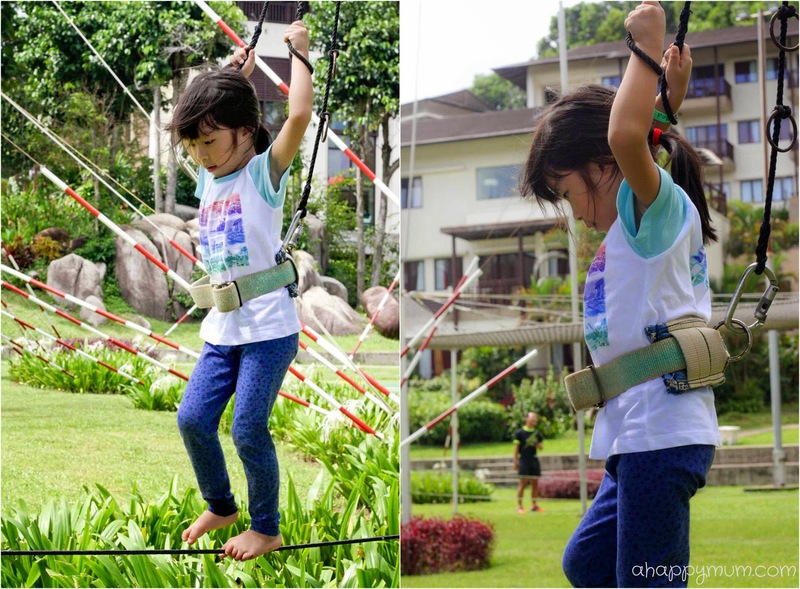 Next, she also had the chance to try walking on the tightrope. For some reason, the GOs closed this station before the time was up and it wasn't till some onlooking parents voiced out their displeasure that they opened it up again so that everyone could have a go. Well, that was a relief for us because it would have been a regret to have missed this. It wasn't that difficult to execute this as you could hold onto the ropes to balance your body. Or so it seemed to me. Nonetheless, there was this invaluable sense of accomplishment that every child felt when they got to the finishing point and I think that was what this circus school was all about - to instill confidence in every child and encourage them to overcome their fear. Remember I mentioned that the girls were hailed as "dancing queens" from the very first night? Well, that was because they practically started to boogie every time they heard music and were not afraid to do their thing in front of the crowd. Thus, they were really in love with the Crazy Signs Dance at Club Med, which is basically one of their signature features where the GOs will take turns to lead the dance with some simple dance moves and everyone follows. Fun for the young to the old, right? 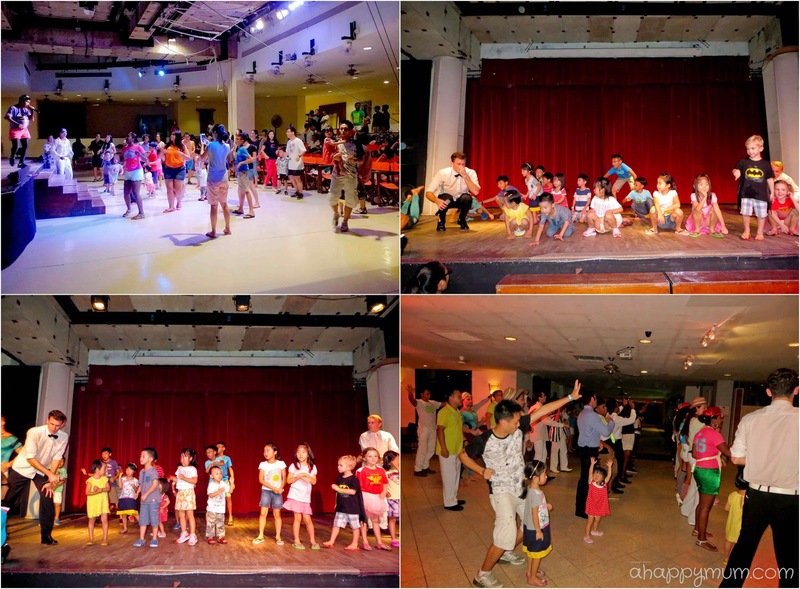 One good thing is that dancing never stops at Club Med! We danced in the afternoon, we danced in the evening, we danced even after the show ended and took it all the way till midnight before we called it a day. If your child likes to be part of the action, loves to move his/her body and likes pop or rock music, then I bet he/she will surely love to be involved in the Crazy Signs dance too. For my girls, even after the night ended for majority of the (actually I mean all of the other) kids, they were still happily dancing and playing with the GOs, much to their amusement and delight. In fact, some GOs came over to dance with them and Ariel stole the hearts of many when she started having a dance-off with them and even mimicked their actions, including hiphop ground moves! I was torn between laughing and trying to capture it on video, oh well. On our last night which happened to the passing of the Chef de Village celebration, Mei, the ex-Chef de Village at Club Med Bintan, called for Angel and Ariel to go up stage to lead everyone to dance! We felt quite surprised but honoured that she remembered the names of our kids and of course, were happy to let these two excited kids be in the limelight. It's so hard to describe to you the joy we had at these dance parties and how much we love this fun-loving culture of Club Med, so I hope this short video will illustrate my point. Enjoy viewing and I hope this brings a smile onto your face! When it was time to bid farewell, just like how we were warmly welcomed, the friendly GOs gathered at the lobby to give us a hearty farewell. The girls gave high fives, hugs and kisses to many of them and to those GOs who said "We will miss you", considering we were the special family who got invited to take a group picture before we boarded the bus, I kind of think that they really adored our kids and sincerely meant their words. Likewise, we are going to miss all the fun and laughter we had and the friends we made during this awesome holiday. Will we come back again? Yes, definitely, so till the next time we meet! Whether it is a relaxing hassle-free holiday to unwind and recharge, or an adrenaline-charged one, Club Med is the right place to be. From now till 30 April 2015, book your year-end holiday at any of these picturesque destinations with all-inclusive fares at exceptional value and enjoy up to 40% savings. Visit www.clubmed.com.sg or www.facebook.com/clubmed, or call 1800-258-2633 for more information. 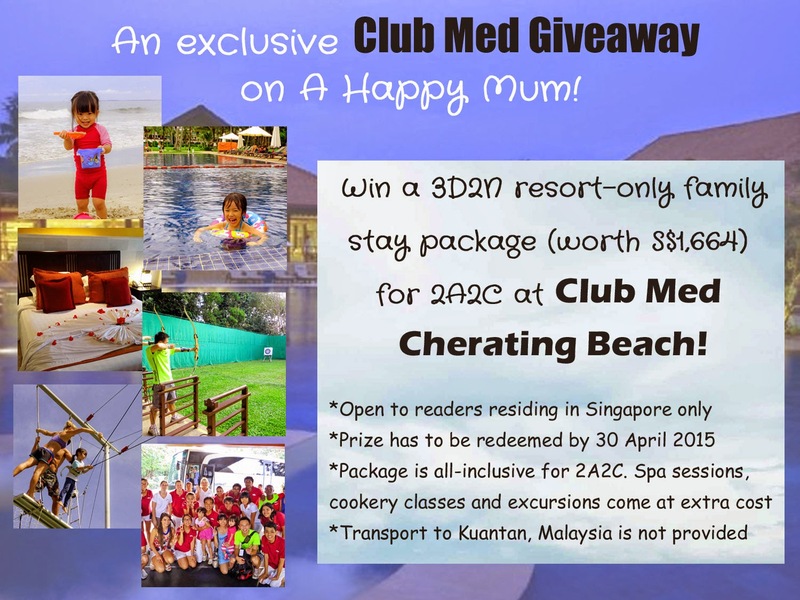 Now, exclusively for A Happy Mum Readers, here is a giveaway to CLUB MED CHERATING BEACH in Malaysia! international cuisines, turtle sanctuary and sports facilities. This giveaway is open to all readers residing in Singapore only and note that transport to Kuantan in Malaysia is not provided. One winner will be randomly chosen and he/she will receive an all-inclusive family package (worth S$1,664) for 2A2C in Club Med Cherating Beach. Do also take note that the Mini Club Med (from 4-10 years old) and Club Med Passworld (from 11-17 years old) are included in the package, however Baby Club Med (from 4-23 months) and Petit Club Med (from 2-3 years old) will come at an extra cost. Spa sessions, cooking lessons and excursions are also not part of the all-inclusive package. 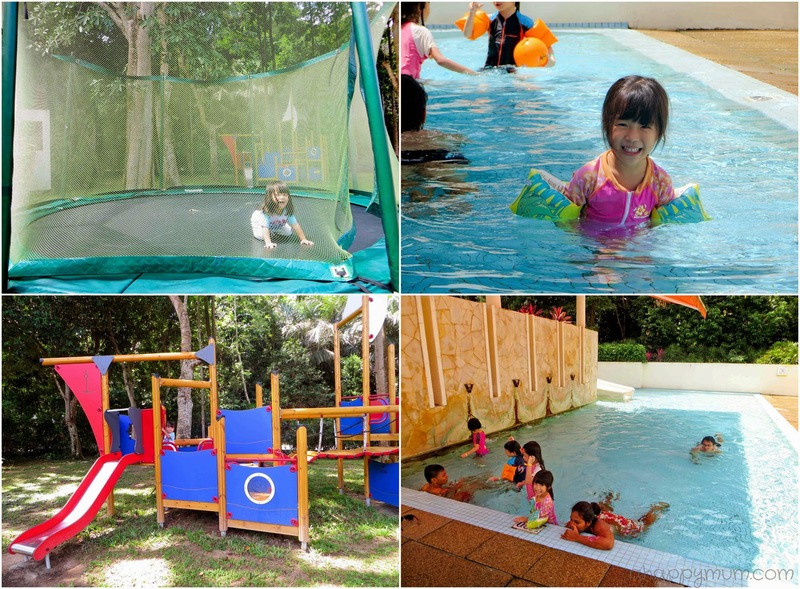 For a list of sports and activities available at Club Med Cherating Beach including the Archery School, Flying Trapeze School and Sailing School, go here. To participate in the giveaway, leave a comment in this blog post with your name, email address and answer the question "I will love to visit Club Med because ______________". Indicate in the Rafflecopter widget that you have commented and to gain more entries into the giveaway, you can choose to follow the rest of the steps. Best of luck, everyone! Disclosure: This is Part II of a two-part series of conversations between Club Med and A Happy Mum. We were sponsored a 3D2N resort stay in Club Med Bintan Island in writing this review. All opinions are our own. I will love to visit Club Med because everyone of us will have fun! we went club med bintan few yrs back and we really enjoyed it! 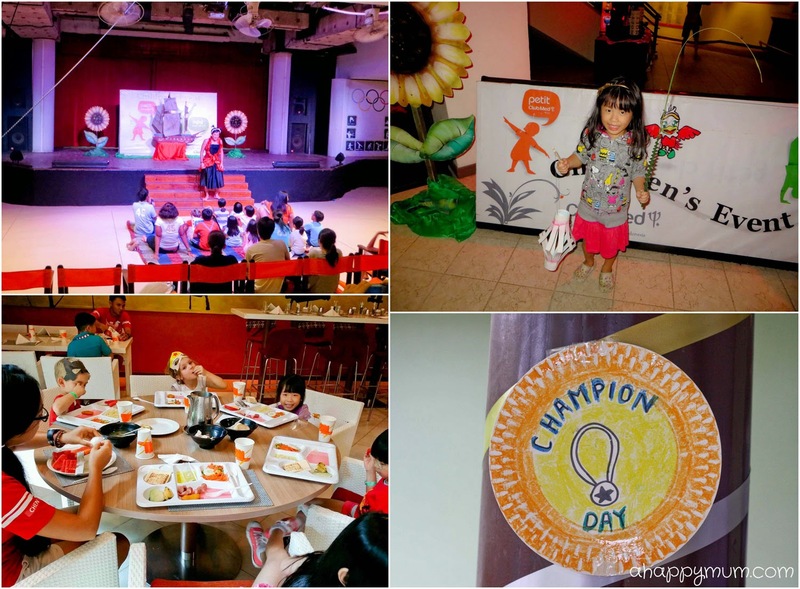 I will love to Visit Club MEd because the kids will certainly love it there with all the fun activities that they have . I will love to visit Club Med because it promises a lot of fun for the whole family. I will love to visit club Med because it sounds like a whole lot of fun for the whole family... totally the perfect getaway for the entire family! I will love to visit Club Med because all the fun is under one roof! I heard really good stuffs about Club Med, esp. Cherating! It will be a great holiday for adults and children alike! I would love to visit club Med Because I have been hearing raves about it. It would be great to bring my 3 boys home. I will love to visit Club Med because they have a lot of activities that suitable for my daughter , me and my husband went before we had her ! I will love to visit Club Med because heard lot of good review about it. Just wish to be lucky to stay for free. Thanks. I will love to visit Club Med because I've never been to one before! 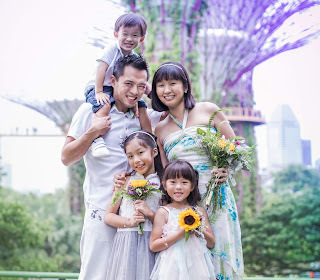 I will love to visit Club Med because i wish to see my kids enjoying themselves in the pool and beach and also i can watch sunset together with my hubby while playing with kids. I will love to visit Club Med because of its family friendly activities! I've never been to Club Med before and it'll be awesome to go with my family plus there's so many good reviews on it! I will love to visit Club Med because of their all-inclusive holiday, my kiddos will be in love with the activities in the Mini Club. It will be great to bring my family there and spend some quality bonding time. i would love to visit Club Med because i know it will make a great family holiday! I will love to visit Club Med because it's a dream holiday destination which provides both the young and old with many fun filled activities that you will never get bored with. I will love to visit Club Med because it is a great chance to bring my family for a holiday. 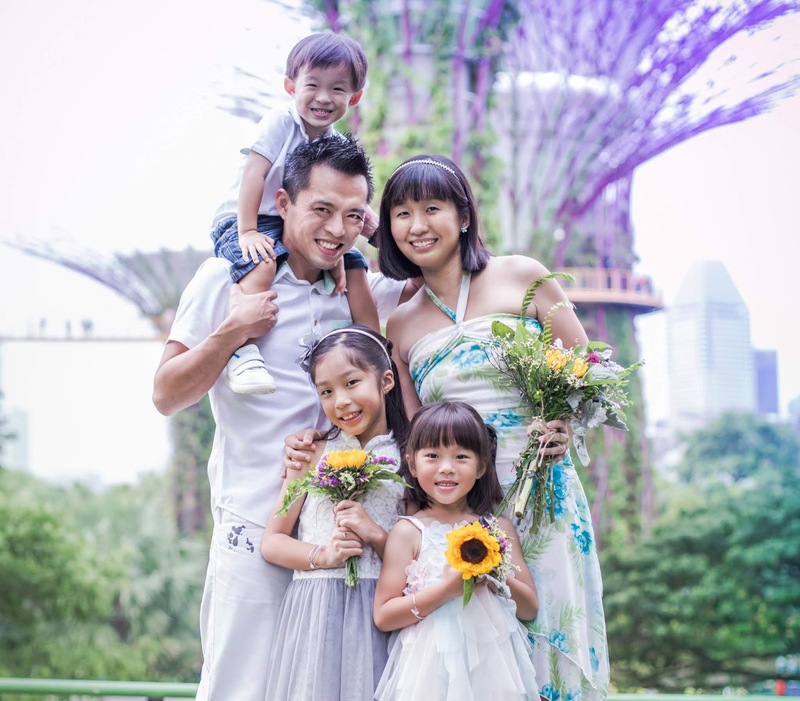 My kiddos have never been out of Singapore since birth and this is a great chance for the family to spend some quality time together. I will love to visit Club Med because it is a fantastic resort that provides many great activities such that you will not want to leave once you checked in. 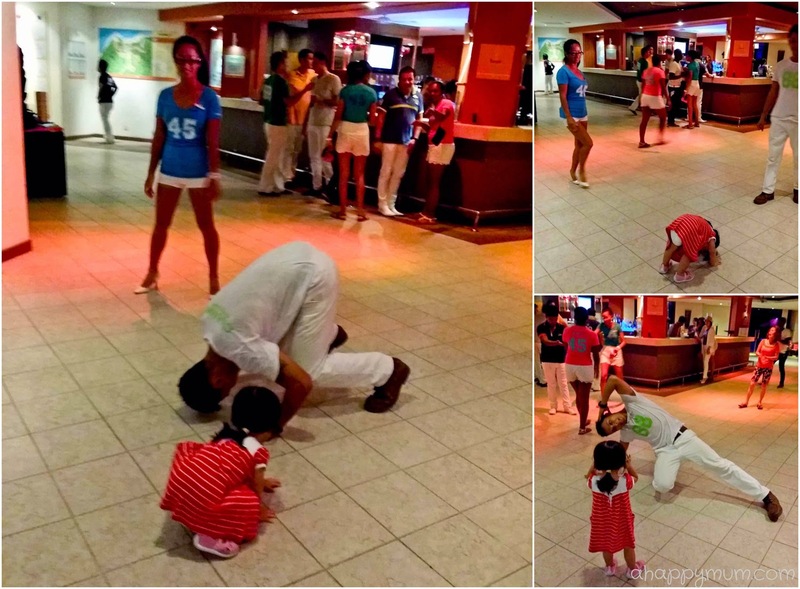 I'm sure my family and I will love the Club Med experience. I will love to visit Club Med because it is every mum's wish to make their kids dreams come true and see the smiles on their faces. 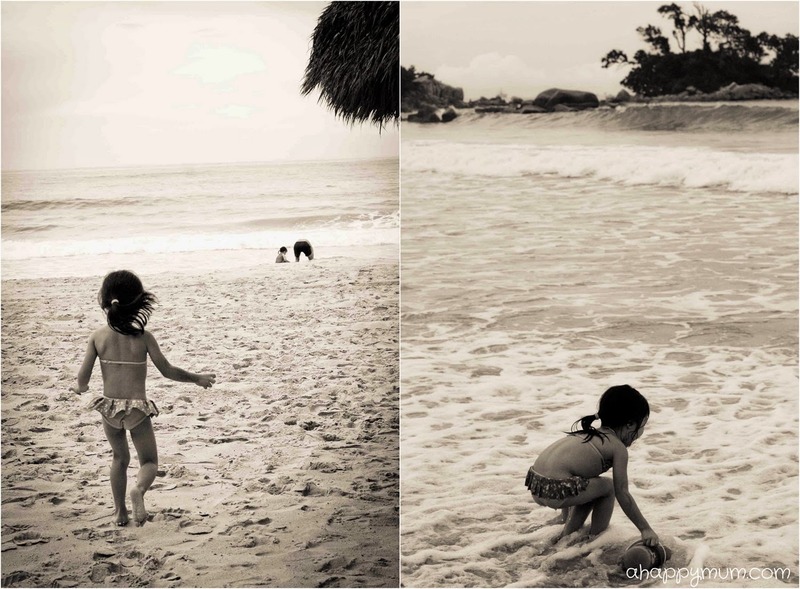 My kids have always love the beach and it would be a dream come true for them if they can visit the beautiful beaches of Club Med and create the everlasting memory in their hearts. I would love to visit Club Med to appreciates the nature. After reading of your article, it motivated me for wanted to try out the activities. I will love to visit Club Med because its a hassle free vacation yet everyone; young and old could enjoy ourselves to the fullest. Great place for my little one first vacation overseas. 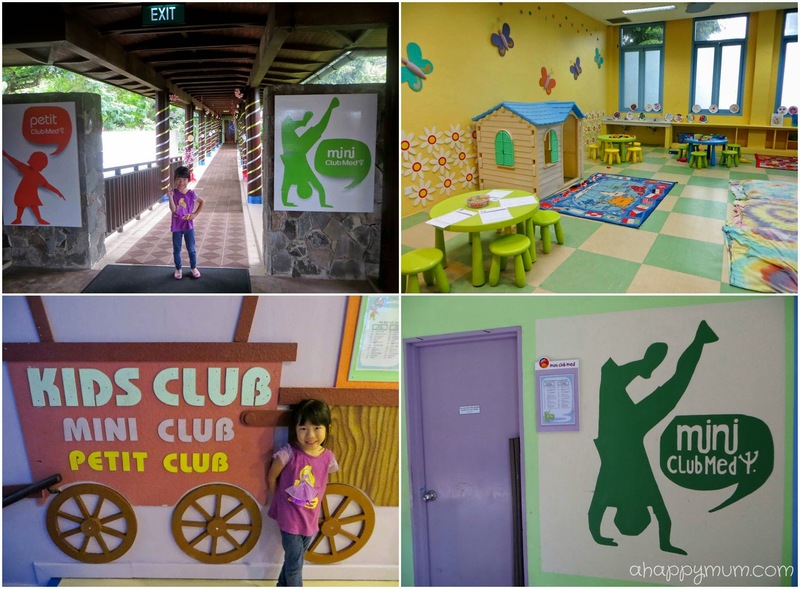 I will love to visit Club Med because it is fun and my kids love the kids club. They have excellent service and a wide range of food serve in their restuarant. Awesome GOs that makes the Clubmed a wonderful holiday destination! I would love to visit Club Med because of the activities provided for my 3 kiddos while I am able to spend some quality time with the hubby. Firstly, we never been to any clubmed before and secondly my family will be able to have a relax holiday! I will love to visit Club Med because it has all the elements for a memorable and family friendly holiday. From the hotel facilities to the great food, hospitable GOs and loads of activities for the whole family. "I will love to visit Club Med because both my kiddos will love to visit a place that they have never been!! It will be an experience with lots of cool activities to be done!" I would love to visit Club Med because it would be a great chill out vacation for my hubby and 2 boys. I would love to visit Club Med because it will be awesome to have everything taken off (all inclusive) and it would be an great family holiday! 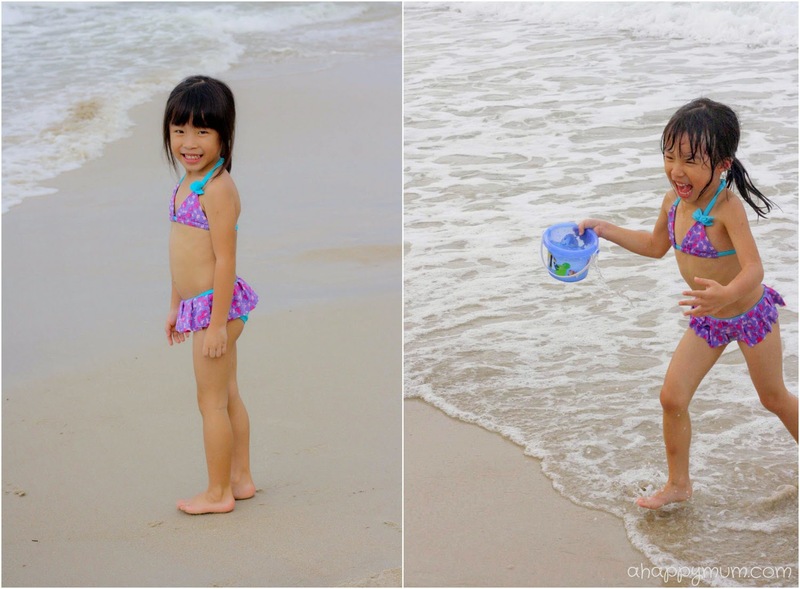 I will love to visit Club Med because I would like to make my kids' (a pair of 3 year old twins who just got their passport) first overseas trip a fun and memorable one. I will love to visit Club Med because it will be fun for the whole family. Club Med looks after all the needs. I will love to visit Club Med because it's fun for the baby, fun for the preschooler, fun for the women and fun for the men... FUN!FUN!FUN! It caters the needs to all different ages! I will love to visit club med because this will be a great bonding holiday for the family. The first club med trip for my girls, 5 & 7!!! I will love to visit Club Med again as we had a wonderful experience! 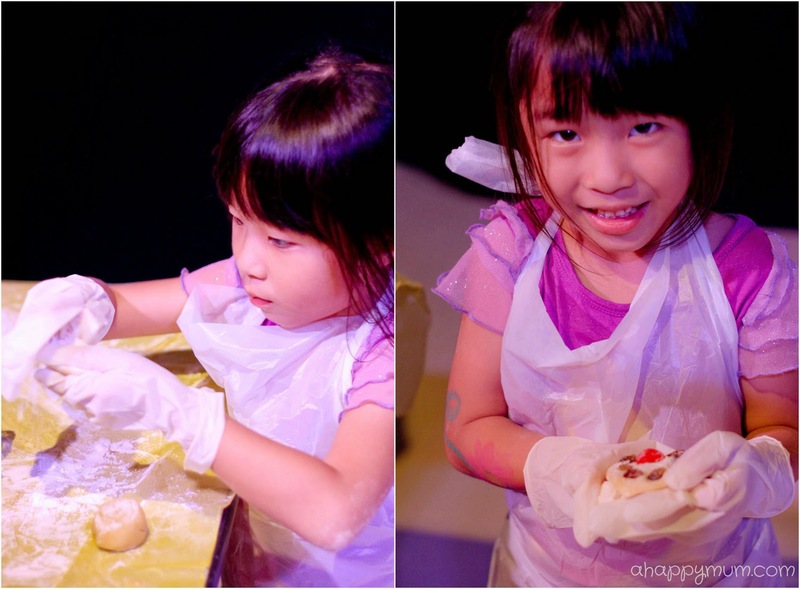 Everyone in the family enjoyed the various activities! And for once, the children had no time for iPhone as they are too busy playing! I will love to visit Club Med because my young boys will definitely fall in love with all sorts of kid's activities. It also as a family bonding time. We haven't been to Club Med Yet. Hope to win for my family as the hubby work very hard for our family and he deserve a holiday together. Club Med Bintan seems like a wonderful break for us, first time mummy and daddy who badly deserves a break. From your reviews, the mini club is so fun and safe. A perfect vacation for mummy and daddy to rest and knowing that our boy will be in good hands. What a meaningful giveaway with special thoughts for the whole family ! I will love to visit Club Med because it will be a relaxing break for all of us in the family, young and old, with the wide range of activities available. I will love to visit Club Med because I have heard soooooo much about it and yet I haven't been. You've written such a great sharing and I think my kids will have tons of fun if we win this giveaway! 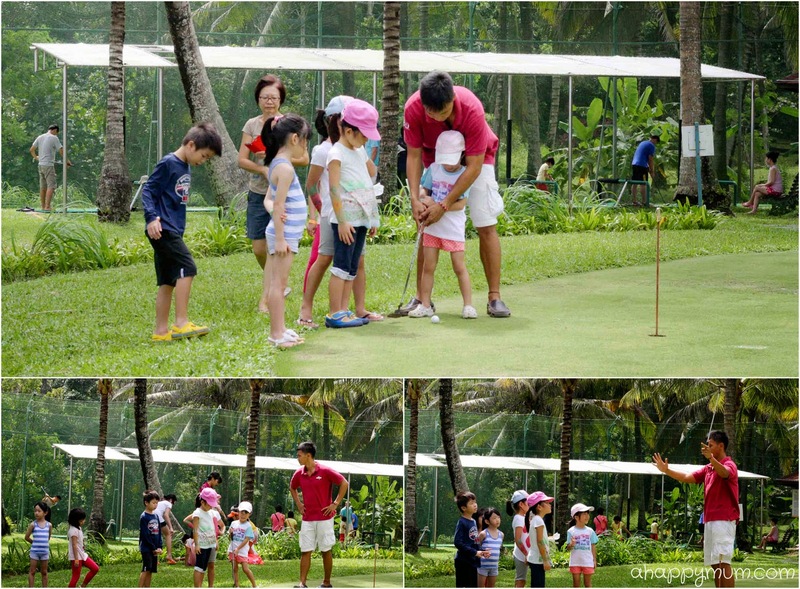 (3) Our children can have "wavy-bonding" time with their daddy AND the fun activities offered by ClubMed. I will love to visit Club Med as there are endless activities for all my 3 kids. Looking at your blog post, it is way too fun to miss out. Gonna plan for next year. :)) Thank you so much for sharing. I would love to win Club Med because I want to give me husband and son a surprise and enjoyable birthday in December! I would love to visit Club Med because we have not been there and it will be a great outing for my wife and children! I would love to visit Club Med because my 3 children and hubby and myself will surely have so much fun there! I would love to visit Club Med because I am sure my 2 girls and hubby will have as much fun as your family did if we are there! I would love to visit Club Med because both times we went to bintan, we stayed at some cheap lodgings but everyone suffered very bad bug? or insect bites that spread all over my body for 3 mths! I hope going to club med bintan would change my impression of bintan...moreover, our kids birthdays, valentine's, and wedding anniversary are all coming up real soon! I love to visit club med because I have heard and see lots of fun & activities in club med regardless of location. 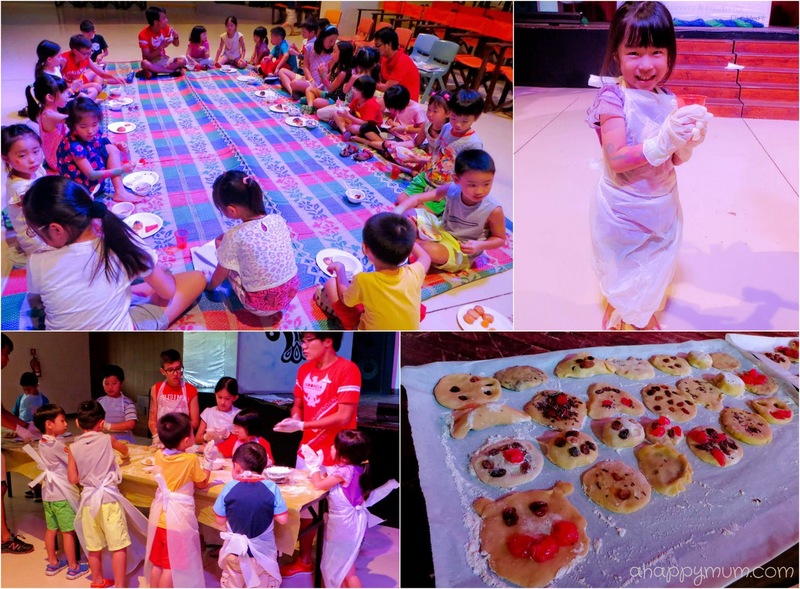 They offer the best entertainment and program for children which I believe will occup my kids and they will sure enjoy it very much while I can rest and relax with my hubby! I will love to visit club med because I have never been to any club med and will be very thankful for the chance to experience the awesomeness of club med with my family. Club med fun and interesting activities and programmes will be suitable for the whole family to enjoy and pick up new skills. And it will be a relaxing break away from the daily routine. I will love to visit club med because the trip will bring lots of fun to my family. It will be a relaxing and enjoyable break. I will love to visit Club Med because it has a lot of activities for adult and kids. My family sure will love it and have a lot of fun. I will love to visit Club Med because it's all fun and excitement under one roof! The best any young parents can ask for. I will love to visit Club Med because it is a family friendly destination. I will love to visit Club Med because it will be a fun vacation for my family. I love to visit club med because there are so many activities and programmes for the kids and it would be a perfect getaway having visited Club Med Bintan in year 2010.
will love to visit Club Med because I am able to spend quality time with hubby while the minions enjoy the fun-filled activities Club Med has to offer. I will love to visit Club Med because I think it will be so fun participating in the activities with the family, not forgetting indulging in the free flow of food and drinks! I love to visit Club Med because there are so many activities lined up to meet everyone's needs and everything is paid for upon reaching, which means worry-free enjoyment! I will love to visit Club Med because we have not been there before.Besides Club Med promises fun and has plenty of kid friendly activities for my daughter. A perfect family holiday. I will love to visit Club Med because this will be one Holiday where parents can relax and not worry about planing and keeping to their itinerary. And kids will be free to engage in any activities they prefer. I like Club Med is legendary for fun and vacation for the whole family!! 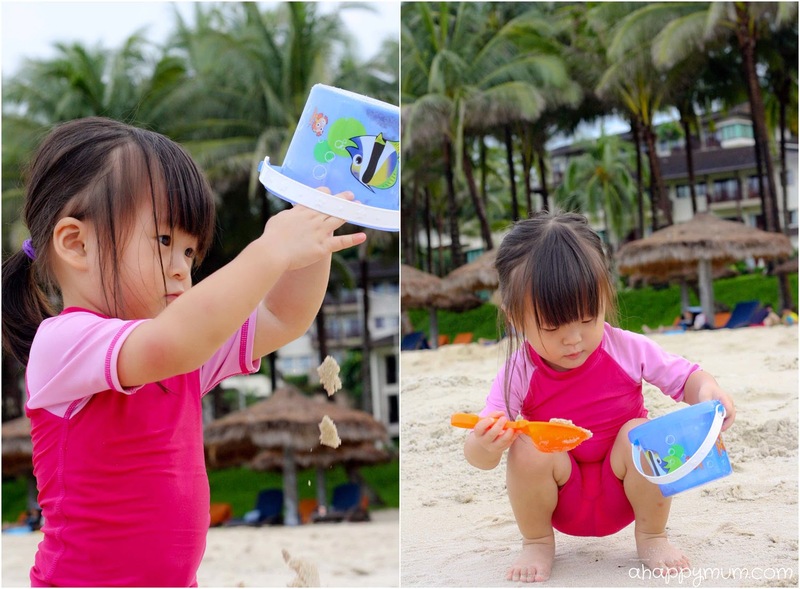 I will love to visit Club Med because there are plenty fun activities for my child and we have not been there before! I will love to visit Club Med because the activities look fun and inviting for the family! I will love to visit Club Med because I would like to give my 2 princesses a memorable experience at the beach and activities they conduct. Club Med is the perfect place! I would love to visit club med because we have not been to one before! I will love to visit Club Med because every kid should have at least one Club Med experience and the parents us get to enjoy some personal time too while the kids are occupied with fun activities! I will love to visit Club Med because my loved ones and I really need a nice vacation to let loose and relax and have fun at the same time for our well deserved break!! I will love to visit Club Med because Club Med= truly carefree holiday for parents, unforgettable memories for kids. I will love to visit Club Med because it will be a whole load of great family time! I will love to visit Club Med because this will make a great break for my husband who lost his father last week. I am hoping some sun and sea will help to give him some relief from the stressful few days. I will love to visit Club Med because is so child friendly. I've never been to Club Med before and it'll be awesome to go with hubby and my princess. Time to explore her to sand play on real beach! I will love to visit Club Med because of the warmth shown by the G.Os, the various exciting activities that one get to try within the resort and a great bonding time for the family! Our whole family have never been in our lives! I will love to visit Club Med because my second child is due in Jan and we couldn't go for any trips this dec. Club Med will be the best choice for us to go nx year as a family of 4! I will love to visit Club Med because it will be a great, hassle-free family holiday, especially with young kids! I would love to visit club med as its been so long since we went on a holiday overseas and it would make a great family bonding time! I would love to visit club med because I've been to club med bintan for my honeymoon and would love to bring my 2 gals along to reminisce the happy moments. I will love to visit Club Med because I have never been there, always want to look for kids friendly vacation and a happy kid will have happy parents thus happy memory!